BORMIO, Italy (Dec. 28) – U.S. 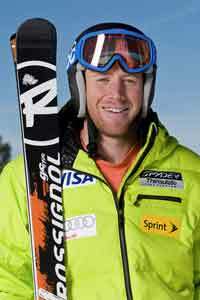 Ski Team athlete Marco Sullivan crashed during downhill training in Bormio, Italy Tuesday. He was taken to a regional hospital in Sondalo for evaluation of a possible head injury. According to U.S. Ski Team Medical Director Kyle Wilkens, Sullivan was conscious and alert. He will remain hospitalized for further observation. One Response to "Tuesday December 28, 2010 Squaw’s Sullivan Stable After Training Crash"